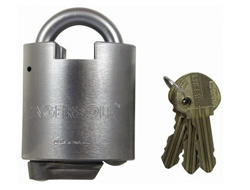 This type of padlock is designed to expose as little of the shackle as possible and therefore make it more difficult to attack with bolt-cutters and saws. 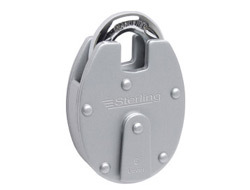 Many insurance companies require you have a closed shackle. 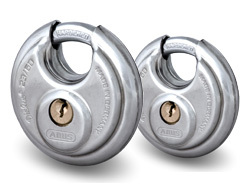 It is important to remember that both Discus and Shutter Padlocks are also classified as 'closed-shackle' since they're design automatically affords them this status. You should check with your insurance company however since their definition of 'closed-shackle' may vary. We have more information on in our Insurance Advice Section. 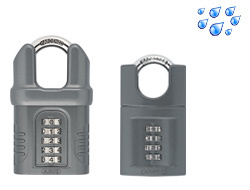 Additionally, if you are thinking of using an existing chain with your new closed shackle lock, then please read this article first on chain type. 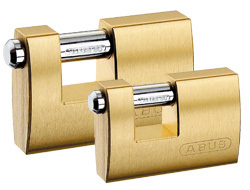 A high security alternative to the standard brass padlocks. Enlarged walls protect the lock from force and saw attacks. 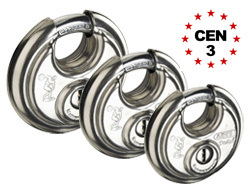 The brass casing and hardened stainless steel mechanism also make it highly resilient to all types of weather. 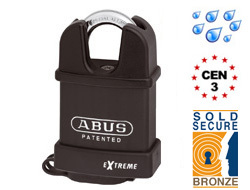 Straight shackled or shutter padlocks can be used in a variety of situations where a high-security padlock is needed but are ideal for security shutters, gates and barriers. 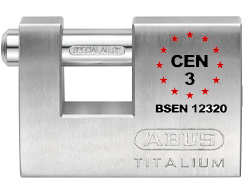 Another quality addition to the ABUS Titalium range. 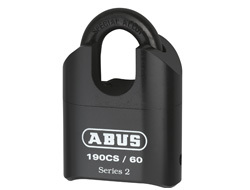 This 70mm shutter padlock is compact and leightweight yet extremely tough with a 12mm Special Alloy shackle. 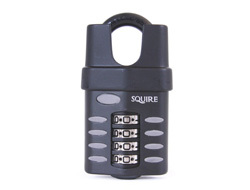 This closed shackle version of our Squire resettable combination padlock is great when you need a high security option but with the convenience of a combination. 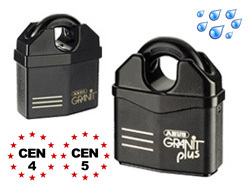 A die cast corrosion resistant body make it perfectly suitable for regular outdoor use. 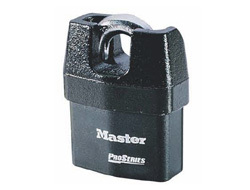 The closed shackle give it additional protection against bolt cropping and saw attacks which is often a requirement of insurance companies. 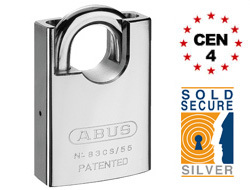 Even as the entry level ABUS Diskus Padlock it is of a higher quality and security rating than almost every other brand on the market. 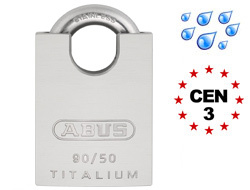 A stainless steel case and weatherproof internal components make it highly resistant to corrosion and a hardened steel shackle is strong enough to resist force attacks. Available in two sizes. 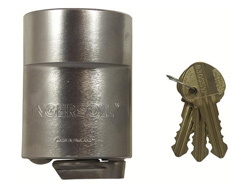 Our most popular and highly secure discus padlock including a stainless steel weatherproof body and hardened steel reinforced and an anti-drill key guard. 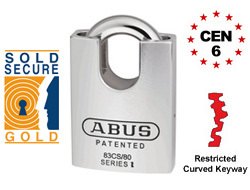 The unique construction of ABUS diskus padlocks give them a superior quality to many of their counterparts up to an insurance approved CEN grade of 3. 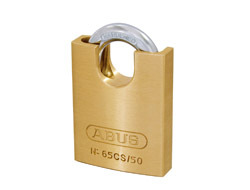 Each individual padlock is hand tested in Germany to ensure an exceptional level of quality is achieved.